You are here: Home / News / The Ultimate Shelfie: What’s in My Bookcase? As you may know if you’ve watched any of my videos, my bookcase is my go-to background for photos and videos. A few weeks ago, when I posted its pic in the background of my successful editing celebration (below), someone asked for a bookshelf tour. Other than books, of course, the shelves also store some literal goodies–my stash of Dove chocolate for munching on my mornings off when relaxing with my reading, as well as Spry peppermints and Yum Earth hard candy drops. Then we’ve got good old Elmer the shelf horse, who’s so ugly he’s absolutely adorable. This is a cool box someone gave me. Whatever came inside it is long gone, but the box is just too nifty to get rid of. Then we have my pile of “currently reading” books–my Kindle, the latest copy of The Writer magazine, and Magnus Magnusson’s epic history tome on Scotland. This is one of my childhood favorites. I picked up three or four of the Trixie Belden mysteries at a garage sale when I was ten or eleven. I bought them for a quarter or so, because a few of them had horses on the cover. I still love Trixie and her gang and their clubhouse misadventures (I even had a clubhouse like theirs when I was little). On the second shelf, we have one of my favorite books, Mary Johnston’s tragic and brilliant Civil War story The Long Roll. The third shelf is dominated by my (still incomplete) hardcover collection of Patrick O’Brian’s amazing Aubrey/Maturin books. Now, this shelf holds my favorites. But then I’m prejudiced. On the fourth shelf, these possibly familiar titles separate the fiction from the non. 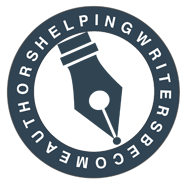 And then we have… writing books! Lots and lots of writing books! Down on the bottom shelf, we have my favorite Bible studies and devotional books. Here you can see some of my history books, on the left side of the shelf–and all the books that don’t fit (plus the dust jacket from Scotland). Let’s chat! What’s your bookcase look like? How many books do you think you own? Tell me in the comments! Top of the mornin to ya! Lovely post. I’ve definitely noticed the go to background hand crafted bookshelf lurking in all the videos. Whenever I see it, I always say what a nice bookshelf that is. So now we get an awesome book tour, or Shelfie. 1. Celebration photo- love that picture. Looks like you’re about to deck somebody. 2. Shelf Horse- I like Elmer! He’s a cutie. ???? 3. Trixie Belden- Never heard of this series but it looks cool. Has an adventurous vintage feel to it. 4. The Long Roll- looks like an interesting book. I need to research the civil war so this might make my TBR list. 5. That’s quite a Patrick O’brien collection! ????? 6. Favorites- Some of your books are translated into Korean and Japanese! Nice. Also what is Dear Colin? I’ve never seen it before. 7. Writing books- I LOVE this section. Too many juicy books to comment on. 9. I have 3 bookshelves. One is filled with textbooks, one filled with ministry/spiritual books, and the other is a currently reading random shelf. There’s another in the garage, but it’s currently collecting dust. 10. How many books I have? Most of my books are on my kindle. Then there are books on Isilo, kobo, Google play, Adobe/PDF books, and IBooks. The kids have an expanding shelf of books too. All together easily over a thousand books, and counting!! ?????????????? Ah, yes, Dear Colin. I forgot that was in there. That’s actually the only fan-fic I’ve ever written. Also the only collaboration I’ve ever written. A friend and I wrote it as a sequel to the Scottish indie film Drear Frankie. I printed off a few copies just for us. Do I spy Little House on the Prairie? 😉 That series is one of the first I remember reading. Farmer Boy has always been my favorite. You do! I read those books over and over when I was young. Can’t quite bring myself to get rid of them even though they’re just ratty paperbacks. Farmer Boy was always my favorite too. Yes, a whole of bookcases–with a window seat–would be ideal. 🙂 And a fireplace. I love your bookshelf. I have several of my own and have always had more books than I could store on them. Getting a Kindle just made that physical problem more manageable. Love the shelfie. Yes, I *love* that the Kindle makes storing books so much easier. Sometimes I think of totally switching my library over to digital. But, of course, the thought of getting rid of all these beauties is too horrible! I enjoyed the tour. Shelfie, as a term, is fitting and very cute. It is an impressive collection. Like Ben I had never heard of Trixie, but I’m thinking this might be due to an excess of Y chromosome. I read quite of bit of Tom Swift and the Hardy Boys at that age. Get another bookshelf and let’s see Shelfie II: The Unveiling! Ah, that is sad. But a good book to have if you must only have one! Punchline: I haven’t read it yet. ? I’m a book junkie! We have nine huge bookcases in the house and still have books piled high. Lucky for my kindle or there wouldn’t be room for people and dogs in my house! Then I would be in heaven browsing through your house! :p I love exploring other people’s books. I met someone who kept hers locked behind glass. I asked her about it, and the answers were, no, she had never read any of them, no, she never let other people read them, and no, she never intended to read them herself. I love your ‘shelfie’ (and the term), and seeing what another writer likes to have within reach of her desk. My kindle says it currently contains 136 books, but I have no idea how many paper books there are in our house. My office has two tall bookcases; my hubby’s office has one; and upstairs in our guest room there is another — all crammed full. Then there are the boxes in the basement with children’s books and old oddities that I’ve collected from garage sales, etc. Lack of space is a good thing sometimes. It keeps me down to one bookcase, which prevents me from keeping books I’ll never read again. My policy is to keep only books I know I want to re-read (although some of the non-fic in my bookcase are books I’ve *yet* to read). I always had deep regrets about letting go of a giant book of fairy tales. Not your typical tired rewrites like Rumpelstiltskin and Red Riding Hood, but new (for their time), original, and deeply fascinating tales. I told myself I was too old, so I shouldn’t keep it. I completely forgot the fact that I myself am a writer and need to have books to draw inspiration from, especially warm, familiar favorites. But worse than that, I gave up a tangible piece of my childhood and my earliest (at all!) memories of my life when my mom was reading them to me, and when I later read them to myself (about a year before anyone else my age that I knew… and they were NOT Kindergarten level reading). When I found out that the person I gave it to was my own brother, you have no idea how relieved I was! 😀 He decided to be nice and let me borrow it from him, and I’ve read everything in it. We had a book of fairy tales like that when I was a kid. I don’t remember what happened to it, but the stories and the pictures have stuck with me vividly. My bookshelf has overflowed. I have my big bookshelf, a shelf above my window, a shelf above my bed, and two small crates that I hung on my wall for more shelf space. (That was a Pinterest project that turned into calling my dad for help, haha.) As shelf decor, I have several Willow Tree figurines, seashells, pictures, and more random items. Different places are uniquely organized. My bookshelf is alphebatized, the window shelf has two sections, Little House on the Prairie and animals (which are alphebatized), one box has Lois Walfrid Johnson books, the other box has Wayne Thomas Batson and Lois Lowry, and my bed has classics (size), missionaries (date), devotionals (random), C.S. Lewis, and Chicken Soup for the Soul. I love that you have a whole Little House on the Prairie section! I just remembered I actually do have a second bookshelf for resource books and lots of decorative odds and ends. I’ll have to share that one with you guys sometime too! A few months ago, my mother died, and I was not my usual self. But while I had to deal with that, at the same, I had to move to a new home. I was wrecked at the end of all that, and I’m still recovering – made harder by the fact that my sister’s husband died yesterday. So I’m going through it all again; not the moving home, that is. Like you, I have many books on writing – yours at no there, because I have the digital copies. 😉 I have, for instance, James Scot Bell’s (a familiar name to you, I’m sure) Conflict & Suspense, which as been invaluable for the types of stories I write. Philip Athans’ The Guide to Writing Fantasy and Science Fiction, which was useful getting a grip on writing Sci-fi. And though I write Sci-fi/crime and paranormal/crime stories, I did try my hand at fantasy in my short story Aestralus 13. And, of course, given my penchant for ‘crime’, I have The Arvon Book of Crime and Thriller Writing. I still have a copy of John Marsden’s (the man who wrote: Tomorrow, When the War began – made into a movie) Everything I Know About Writing, which was the first book I ever read about writing fiction. My current reading list: Year of Wonders by Geraldine Brooks and The Secret in their Eyes by Eduardo Sacheri. What I read before these: The boy in the striped pyjamas by John Boyne and The November Man by Bill Granger. Non-fiction is a range of language, linguistics and statistics books. The things I’m researching to polish books I’ve written (but not yet gotten published *groan*): The psychology of love by Sigmund Freud. This research is for my paranormal/crime book Do robots dream of Love? I’m researching zeppelins at the moment, too, for my Sci-fi/crime book Reciprocity: The Lledumar Saga, Book 2. Some books I plan to read next: Burial Rites by Hannah Kent, The Day of the Triffids by John Wyndham (because the TV series scared the hell outta me :)), and Mightier than the Sword by Jeffrey Archer. Very sorry to hear about your losses! 🙁 Hang in there. I don’t think I’ve read any of the books you’ve mentioned. Obviously, I need to add to my TBR pile! I’m so sorry to hear about all that. That’s got to be really hard. I have that one too. It’s on a different shelf, near by desk for easy access. A shelfie! I love that! Thanks for the little tour 🙂 I have a built in bookcase in my closet, that for me, is way too small! So, most of my books are in piles, baskets and stacks around my room. And the ones I don’t read that often, but are still my favorites (my children’s books that I can’t part with!) are in boxes under my bed. Nothing like sleeping on great literature! I saw several books, especially in your writing books section, that I also have — Story Engineering, Self-Editing for Fiction Writers, How to Write Science Fiction and Fantasy, Techniques of the Selling Writer, to name a few — and some that I don’t — Second Sight, Lights! Camera! Action!, From Where You Dream, and some others. You’ve a very nice collection, though! I’ve a total of 11 shelves of various sizes that I keep everything on, and some of them serve multiple purposes. To give just one example, one shelf — a wire shelf — houses a small collection of reference books, magazines (Writer’s Digest and The Writer and a couple of Mac|Life mags), my printer, my electric pencil sharpener, a small drawer unit with 8 drawers in it (this holds all kinds of things, including batteries, a couple of sets of screwdrivers, highlighters, colored pencils, a couple of junk drawers, etc), a shelf devoted to envelopes for mailing manuscripts, a couple of reams of printer paper, a saddle-stitch stapler for binding my own pamphlets/chapbooks, and more. Total number of books? Per my spreadsheet, 403 fiction, 270 non-fiction, and 58 reference, giving 731. However, I haven’t updated this spreadsheet since December 2014, and I’ve bought many more books since then. And this inventory doesn’t include what I have on my Kindle. As for categories of books, I have fantasy, science fiction, horror, history (Civil War, medieval, Victorian/Edwardian era), mythology (British Isles, Maaori, Classical, world), computer reference books (I have a Bachelor’s in Digital Media and Web Technology, so these reflect that plus many Mac software reference books), language instruction (Portuguese and French, and a Chippewa dictionary, ’cause I’m part Chippewa), writing books (tons! of these), religious (8 different translations of the Bible, all of which I’ve read, a couple of them multiple times, and there are other translations I’ve read that I no longer own — I’m Christian, Reformed Presbyterian; the Koran, which I’ve read; some Buddhist scriptures, which I’ve read, partly because I’ve lived in Buddhist countries — Thailand and Japan, in fact — and partly because I’ve had a lifelong interest in religion; books on the occult, witchcraft, paganism, and other things). As for my Bibles, I own (or have owned) and have read the Protestant, Catholic, and the Greek/Slavonic Canons, which means I’ve read all of the Apocrypha, and I hope to go through the Gnostic Gospels sometime, too. Sadly, I lost hundreds of books in a storage unit incident about 10 years ago. I used to have a copy of the Book of Mormon, given to me by an old co-worker, and I read that, too. That was lost in that incident, too. Ah, you’re giving me shelf envy! :p Fascinating though–thanks for the insight into your library! I’d love to make my life as digital as possible, so that all my books, for example, like all my music, are either on my computer or on the Cloud. All my music is in both places, but I’m a long, long way from having my library completely digital. Some of my books are so old that it would be difficult to get them in digital form, unless I digitized them myself. For example, my copy of de Camp & de Camp’s 1975 edition of SCIENCE FICTION HANDBOOK, REVISED isn’t available in a digital copy (this book’s still relevant for the writer, in my opinion, save for the typewriter references; even the record-keeping instruction is relevant, although you probably wouldn’t want to do that on index cards, as the de Camps advise). And some I wouldn’t want digitized at all, such as an 1841 Swedish translation of Martin Luther’s Shorter Catechism given to me by a friend. It includes a handwritten inscription by the original owner, a girl named Maga Cari AndersDotter, and the inscription is dated 26 Mar 1842. This little thing isn’t collectible or valuable — it’s in pretty bad shape, actually — but it’s a fascinating piece of history. Elmer? Your horse’s name is Elmer? As in… Elmer’s Glue? 0_0 You demon. I didn’t actually name Elmer “Elmer.” He’s part of a western decorating set, although I can’t seem to find them for sale anywhere anymore. Man, if I get published, I hope my books will be translated into Japanese. That would be so wonderful! It’s pretty mind-bending to have a copy of your own book that you can’t read. :p Chinese versions are coming out soon as well. First, mucho congrats on the awards! Not surprising. And while I don’t know how I linked up with your website & emails, I am super glad. You top the list of writing guides/coaches/gurus that I have connected with. Simply put, you have helped me more than any other from your emails & blogs. Now, as to my bookshelf: Since I have been accumulating books for way longer than you’ve been around, I have guesstimated that the total currently is about 5000 volumes give or take. Many are Bible studies, theology works and related studies since I am a student of such subjects and my PhD is in biblical Studies; many are lit books since my MA is in English (Rennaissance & Jacobean); and many are writing books to keep up with my second love. So many in all that each shelf has books in fromt of books. Gotta love it. Blessings. SDG Oh, and keep up the good work for His glory. Oh, yes, I was always disappointed in Nancy Drew after cutting my teeth on Trixie. Just found this and I love exploring other people’s bookshelves. Is that too weird? I just moved here a year ago or so and have only been full time in this house a couple months so I am still setting up my bookshelves. One shelf that is already filling up is my writing shelf; it has of course Structuring Your Novel, 90 Day Novel, and Writer’s Market on it. Plus On Writing by Stephen King and some other great writing reference books. I have unpack my collection of “old books” predating 1900 which I got mostly from my grandfather and some from the free bin at the University of Kansas library as well as my late husband’s books from his childhood. I love the price stamp of 10 cents on one of his old paperbacks. The other shelf is full of some of the new books I’ve purchased since we’ve lived here and we have one and half shelves full of my son’s Nat Geo collection dating back to 1973 he got from his grandfather. The rest of my collection of books are still in boxes waiting to be unpacked and I can’t wait to open them. It will be like Christmas!! I downsized my book collections during our move and dwindled my collection down to about 1/2 of what it was but I am sure there will be a lot of surprises when I open those books. My collection as I recall includes mostly nonfiction equestrian instruction, ranch and homesteading, counseling, bible studies, and children’s books. Nice collection! Love that you have so many old books. Something very special about that.